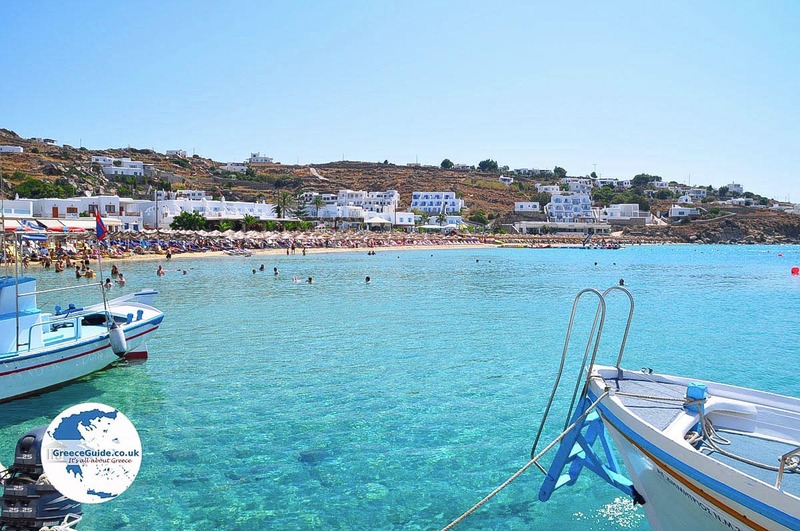 Platis Gialos Mykonos. 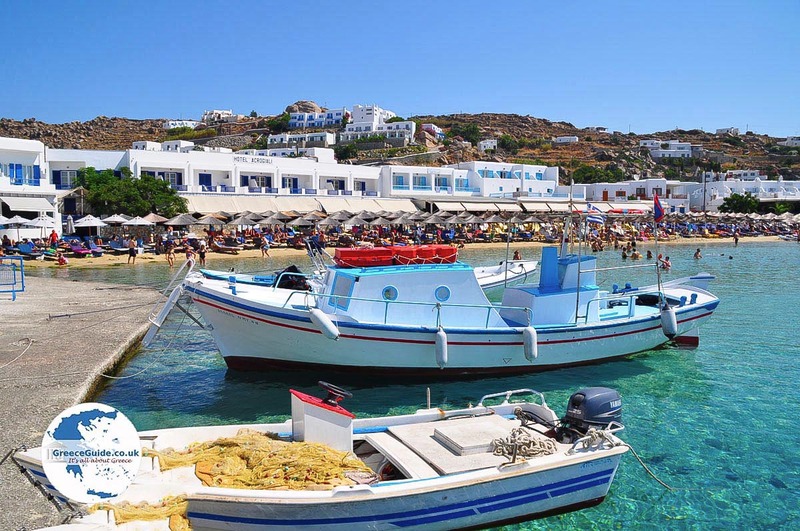 Platis Gialos is one of the many famous resorts on the Greek island of Mykonos. 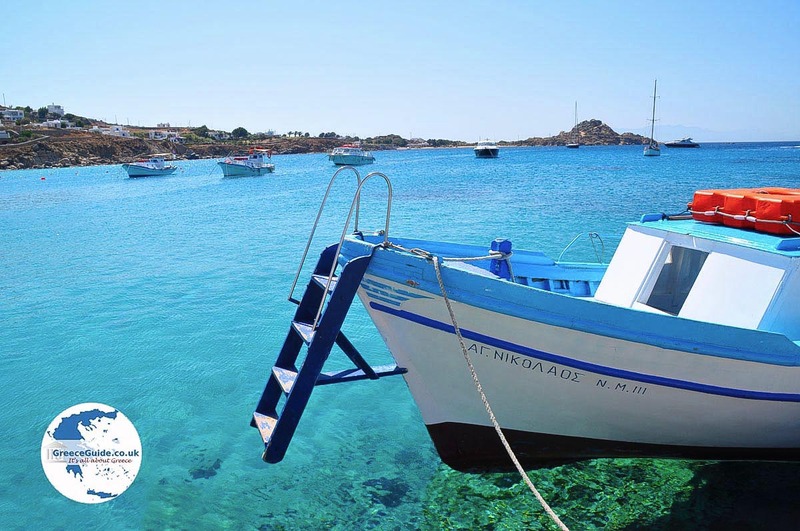 Platis Gialos is located four kilometers (2.5 mi) southeast of Mykonos Town and between the resorts of Psarou and Agia Anna. The village is situated in a bay and built on the slopes of low rocky hills. The beautiful, sandy beach and crystal clear sea makes this town attractive. Behind the sandy beach are many hotels and shops. 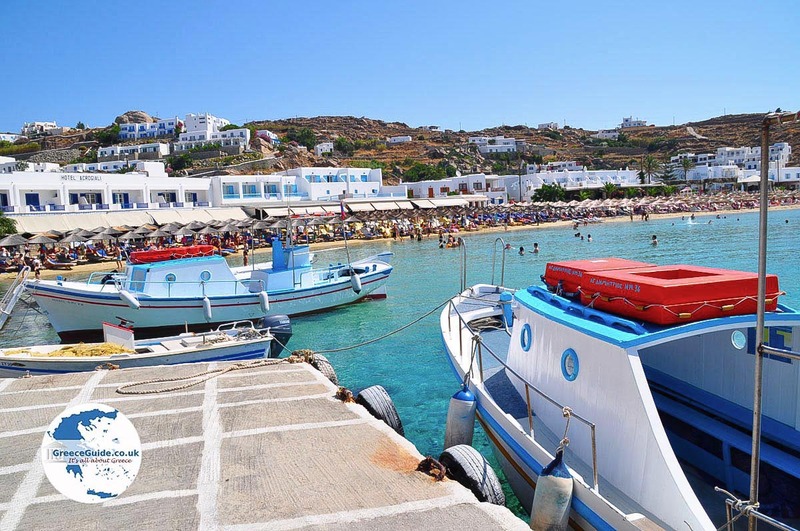 Platis Gialos is very busy during high season. If you come here by car it’s better to park outside the village or at the entrance of the village. On the eastern side of the beach is a boat dock. You'll see several tourist and fishing boats as well as many expensive yachts. At this beach, watersports enthusiasts will definitely enjoy themselves. Here you can rent a jet ski or a paddle boat, get pulled behind a speed boat on a banana or other inflatable, go parasailing, rent a boat and so much more. 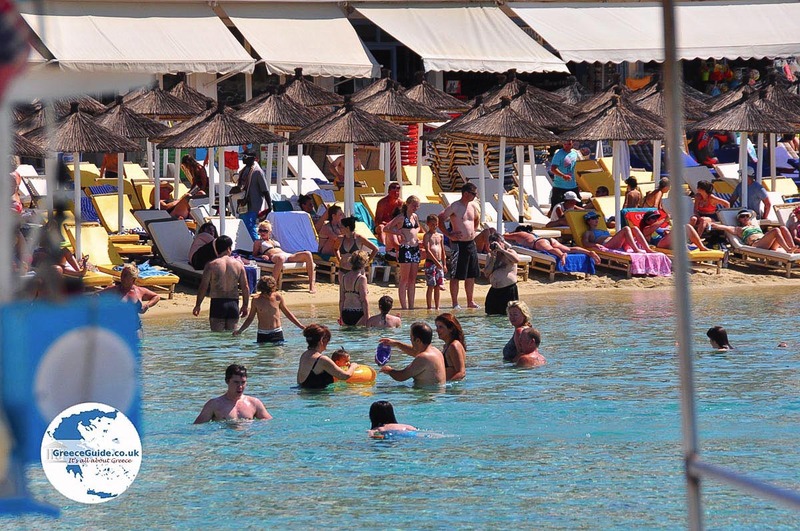 The beach is fully equipped with sun beds and umbrellas for you to rent. 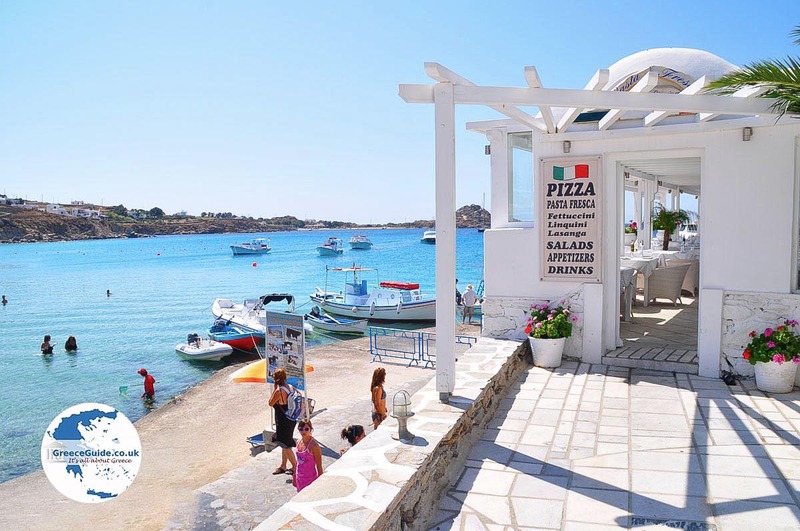 There are also many fine restaurants and taverns in Platis Gialos. 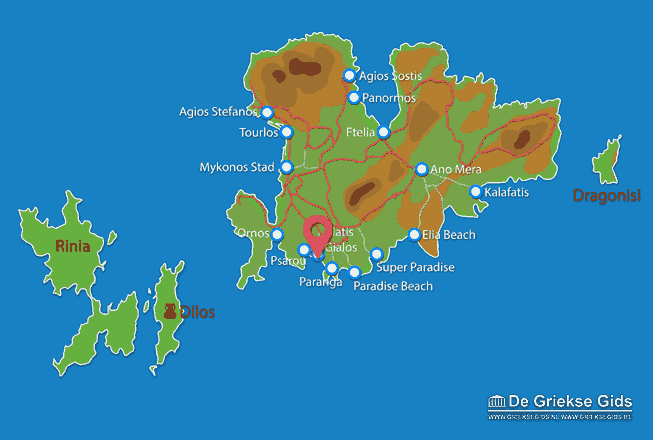 Mykonos: Where on the map is Platis Gialos located?